New research by Cass Business School has helped solve an investment puzzle that has baffled City traders and academics for years. 'Carry trade', where investors borrow in currencies with low interest rates to invest in currencies with higher interest rates and thus profit from the difference, has produced mysteriously high returns for decades. In theory the investment tactic should not work. 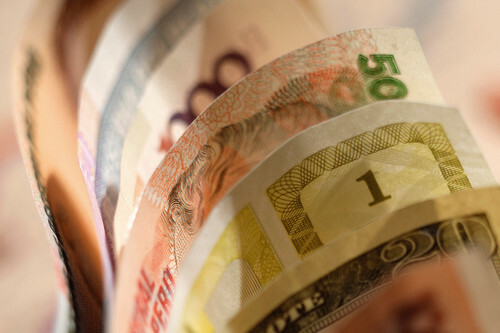 Exchange rates would be expected to shift fast enough to neutralise any gains made from investing in currencies linked to higher interest rates. In addition, higher inflation in high-rate countries would also be expected to reduce profits. But research co-authored by Professor Lucio Sarno with colleagues from Leibniz UniversitÃ¤t Hannover and the Bank for International Settlements explains why 'carry trade' continues to generate such high returns. In the study, published in the world's leading finance journal, the Journal of Finance, the authors analysed 48 currencies against the US dollar between 1983 and 2009. They found that carry trade profits, which amounted to an average of more than five per cent per year even after accounting for transaction costs, can be explained as a reward for the significant risk investors undertake. "Our study shows that high returns to currency carry trades can be understood as a compensation for risk," says Professor Sarno. "If investments in currencies with higher interest rates deliver lower returns during the 'bad times' for investors, then carry trade profits are merely a compensation for higher risk-exposure by investors."